The list of places to visit in Turkey is exhausting because as the 37th largest country in the world, the vast landscape stretches for thousands of kilometres in every direction. Its intertwining historical timeline as home to many empires and civilizations has also ensured a record amount of interesting, ancient landmarks have been discovered and are still being excavated. Turkey is one of the best countries in the world for travellers interested in history. Indeed, the recommendations and ideas would fill a library with travel books, but a few places are more popular than others are, and hold record figures for receiving millions of visitors every year. Such is the ease and frequency of public transport across Turkey, including buses, domestic flights, and rail services, many people make the most of their time in the country by seeing the most popular places on a 1 to 2-week tour. Alternatively, many travel agencies sell guided or self-customised trips, therefore taking the hassle out of the organization. Here are these top 5 most popular places to visit in Turkey. 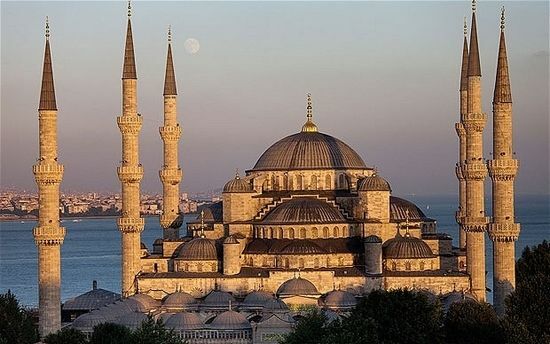 This UNESCO World Heritage site and its many iconic buildings constructed by the Byzantines and Ottomans is the top visited destination in Turkey. As the capital of both ancient empires, notable landmarks include the former church and mosque of the Hagia Sophia, the Blue Mosque dating from 1616, and the sprawling network of Topkapi Palace, home to the first Ottoman sultans from when they conquered Constantinople in 1453. Just around the corner, the underground Basilica cistern that supplied Constantinople with water also holds the upside heads of the mythological Medusa. While a short walk away, visitors shop for souvenirs in the exotic Grand Bazaar. As one of the largest marketplaces of the world, its impressive historical timeline throughout history is still seen today in the ancient stone architecture. Listed in 2014 as the most visited attraction of Turkey, and nicknamed the Cotton Castle, the travertine pools of Pamukkale and the nearby historical ruins of the ancient city of Hierapolis are another UNESCO World Heritage site worth visiting. 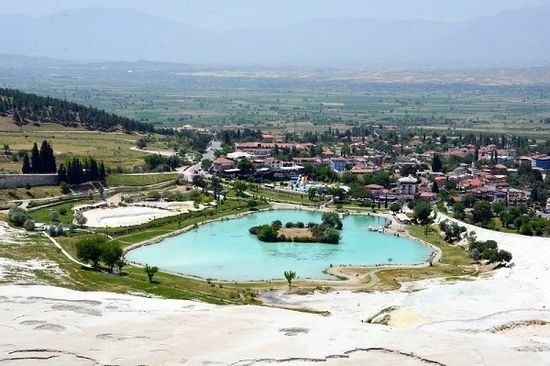 Including the famous Cleopatra’s pool and the museum of Hierapolis, it is located in the region of Denizli in central Anatolia. Once believed to be a miracle of nature, the travertine pools tumbling down the hillside are easily explained using science because the carbonated water eventually solidified. 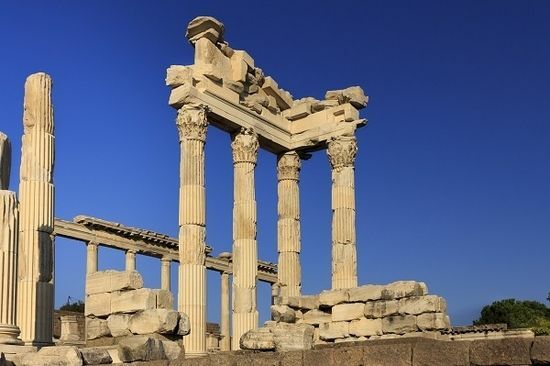 Most people visit on a one-day trip but if time allows, an overnight stay is advised to also visit the nearby ancient ruins of Aphrodisias and Laodicea, of which the former is a Church of Revelation as mentioned in the New Testament. Extensive excavation and restoration have restored Ephesus to much of its former glory. As an ancient city of Greco-Roman architecture, and the third largest in the Roman Empire, notable landmarks that stand today include the long market street, elaborate temples, and the quirky public latrines. The Highlights though are the Roman terraced houses displaying marvelously intact and intricate frescoes and the majestic columns of the Celsus library that held 12,000 scrolls and was the third largest in the ancient world. 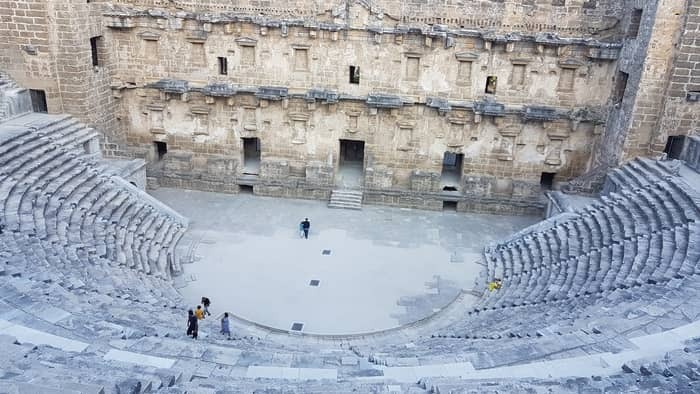 Lastly, cutting into the hillside and seating 25,000 people, the Hellenistic theatre with its many semi-circle rows of seats was the location of the famous Artemis riots against Paul as mentioned in the Bible. Cappadocia in the central Anatolian region is a popular backpacking destination and the ideal 3-day get-a-away for expats living throughout Turkey. The lunar-like, rugged landscape resembles a film set from Star Wars because of what the locals call fairy chimneys. The quirky shaped rocks formed by natural wind erosion, and standing proudly in valleys such as Love, Rose and Pigeon make the area seem like it is stuck in the Flintstone age. Famous for boutique, modern cave hotels, and restaurants, the UNESCO cave churches of Goreme Open Air Museum and their 14th-century frescoes are the most visited place. Other attractions include the underground cities especially Derinkuyu, the rock castles of Uchisar and Ortahisar, as well as Ihlara Valley, an ideal place for trekking and riverside lunches. 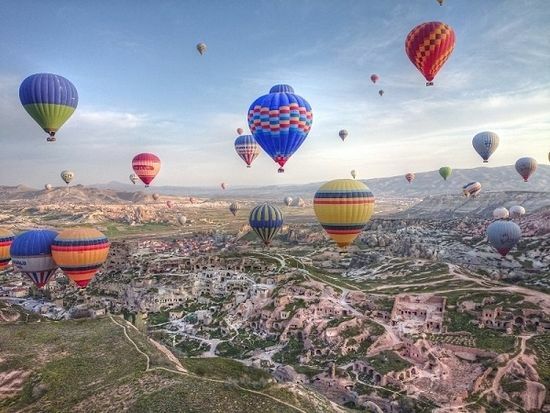 Undoubtedly, though, the top recommend activity is an early morning hot air balloon trip to see the fairy chimneys from a bird’s eye view while the dramatic sun rises over the nearby mount Erciyes. As the second most trendy holiday destination after Istanbul, the cosmopolitan district of Antalya has everything old and new to welcome visitors. Receiving more than 8 million visitors a year through its modernised airport, the large shopping malls, high-end hotels and restaurants as well as brand name shops accommodate luxury travellers while the smaller resorts are suitable for budget tourists. Well known for its extensive range of beaches, other attractions include the old town of Kaleci, ruins of Aspendos city, and the archaeological museum. Belek with its state-of-the-art golf courses is now a golfing mecca while the small resort of Side is proudly remembered for its historical ruins in the centre. Although never proven, local legends say the landmark of the Temple of Apollo overlooking the sea was once the rendezvous point for a secret meeting between Cleopatra and one of her Roman lovers. Part of the credit for Antalya’s fame can also go to the resort of Alanya with its domineering Red Castle sitting proudly on the coastline. As a popular destination for Germans, Russians and Brits, it also sits near a local national park holding the Koprulu Canyon, a highly recommend place for white water rafting.